Ceftriaxone is an effective prophylactic antibiotic. 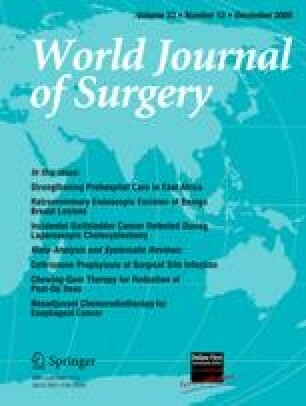 However, there is no consensus about whether ceftriaxone should be used as a first-line antibiotic for the prevention of incisional surgical site infection (SSI). Its role in preventing urinary tract infection (UTI) and pneumonia also is controversial. A meta-analysis of randomized, controlled trials assessing the prophylactic use of ceftriaxone between 1983 and 2005 was performed. Medline, Embase, and Cochrane registers were reviewed. Additional references, review papers, and proceedings from meetings were searched. The Jadad score was used to assess study quality. A meta-analysis with sensitivity analyses was performed for SSI, UTI, and pneumonia. Of 231 reviewed papers, 90 were included. Ceftriaxone prophylaxis was superior to other antibiotics in each category. Sixty-one studies assessed the prevention of SSI (odds ratio (OR), 0.68; 95% confidence interval (CI), 0.53–0.7, p < 0.001; Cochran’s Q statistic, p = 0.93). The difference was greatest for abdominal surgery. There was no difference for cardiac surgery. Thirty-five studies assessed the prevention of UTI (OR 0.53; 95% CI 0.43–0.63, p = 0; Cochran’s Q statistic, p = 0.97). The difference was greatest in obstetric and gynecological and colorectal surgery. Thirty-seven studies assessed the prevention of pneumonia (OR 0.66; 95% CI 0.54–0.81, p = 0; Cochran’s Q statistic, p = 0.65). The difference was greatest in upper abdominal surgery. The meta-analysis confirms that prophylactic ceftriaxone is more effective than most other prophylactic antibiotics. This reduces SSI, UTI, and pneumonia in procedures where there is an increased risk of these infections. In such procedures, the data support using ceftriaxone as a first-line prophylactic antibiotic. The authors thank the staff at the Royal Australasian College of Surgeons library for helping to track down many “difficult to find” articles.